Very attractive platter in hues of plum and terracotta. 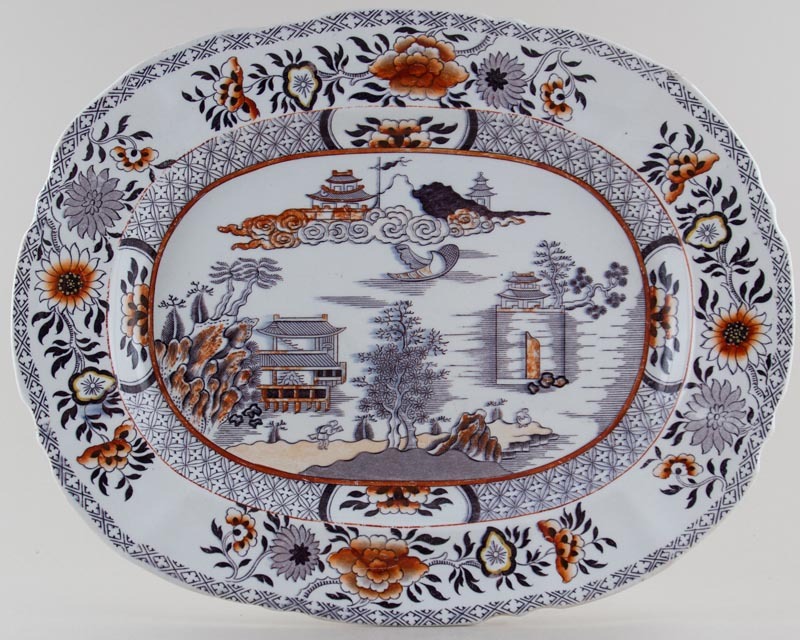 Backstamp: Ironstone China Dieu et Mon Droit and impressed Ashworth Real Ironstone China and in script 4 295. A little surface scratching with a little minor wear to the outer rim. OVERSEAS SHIPPING OUTSIDE EUROPE Owing to the size of this item a supplement of � about US$52 will be added to the standard overseas shipping charge.